It is not too late to get a new grill and BBQ. Sure National BBQ month was in May, but I needed a new grill and began to research the options available. To say there are a variety of opinions and options would be an understatement. There are charcoal grills, gas grills (propane and natural gas), smokers, fryers, brick ovens, and much, much more. I looked for guidance from fellow Louper and BBQ master Neil R. who currently has six different devices littered in his backyard. Since my wife and space constraints won't allow 6, I had to find one that does everything well. The answer is the Big Green Egg. This handy device is a ceramic kamado-style charcoal grill which provides superior insulation that makes very high and very low temperatures easy to maintain, allowing the user to grill, roast, smoke, and bake. They have their own special charcoal, which is free from chemicals and other harmful things that will either impact the taste (or your health). There is also a ton of supports provided by the company and community, including recipes and tips. 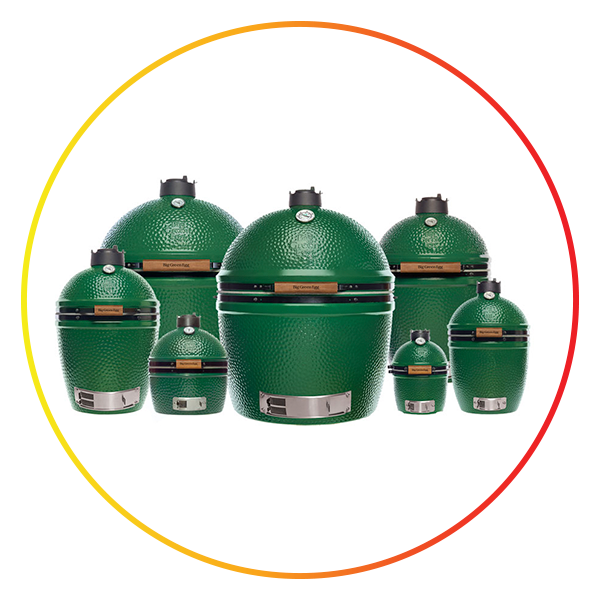 Join the Big Green Egg cult (I dare you)!